Yesterday I shared Samaritan’s Purse and their global work. 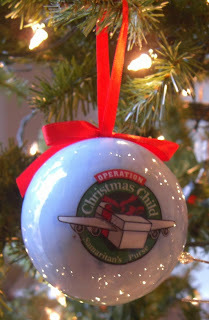 Today I want to share one of my very favorite projects: OPERATION CHRISTMAS CHILD! Christmas in a shoebox that reaches out to children all over the world. My mind can’t even comprehend that many toothbrushes, toys, and crayons! What a joy to be part of this project. My family has made shoeboxes for nearly 10 years now. This year I’ve decided to do 4 – 2 boy, 2 girl. 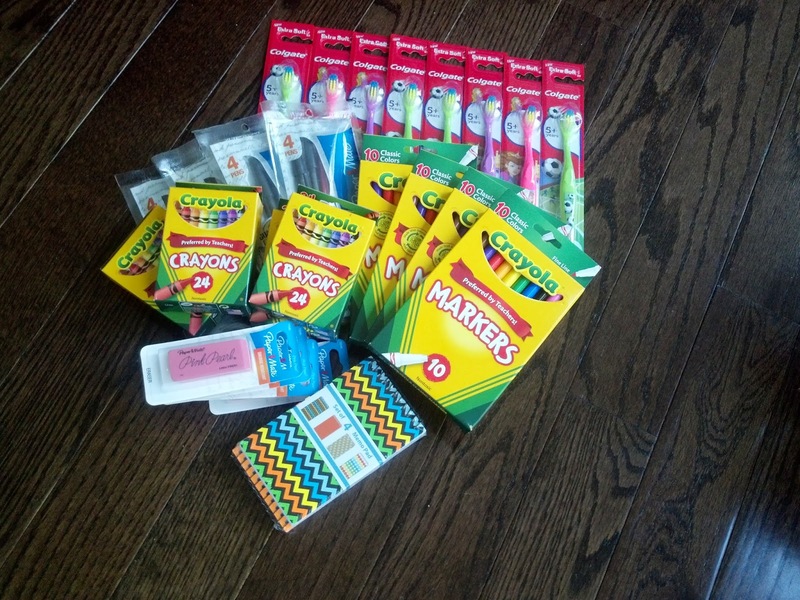 See my loot I started collecting at the back-to-school frenzy! I find small toys, candy, hair accessories, harmonicas, kazoos, balls, hats. If it fits in the box without taking up too much room I get it. I also tend to buy a plastic shoe box that will be a little more permanent for the child to keep. Have no idea what to put in a shoebox? They’ve got you covered. For $30 you can build a box on their website from the choices they provide. Easy peasy lemon squeezy!! It’s simply another way you can help change the world (or the life of a boy or girl) for less than $50! Read more about my experience last year here. Just filled our first shoebox for the year today! Love your 31 Days friend! Such a great idea! You are on the ball girl!!! I need to start looking for boxes and more goodies!